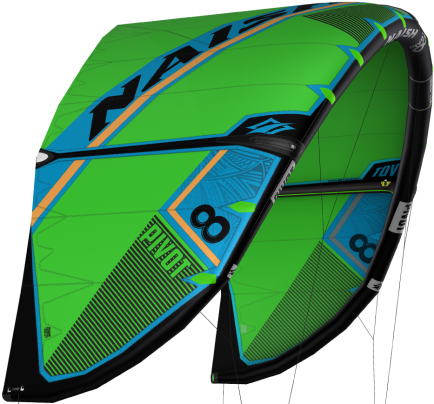 Predictable power development, direct bar feel, intuitive steering and plenty of “sheet-in-and-go” are just a few characteristics that make the Pivot one of the most sought-after kites on the market. Adapting to a wide variety of wind and wave conditions, this kite features a medium aspect ratio for substantial low-end power, easy jumping and great upwind performance. Dynamic and responsive, it pivots quickly and easily on a small axis of rotation—with minimal power increase through turns—for super-smooth carving through waves and enhanced control going into and out of kite loops. Had a hydrofoil session with the Naish Pivot. Personally, I like a kite with bar pressure and kite feedback everywhere. This makes foiling much easier and comfortable. Well the Naish Pivot like to discharge its kite pressure by widening the wind window. So, no constant pull. 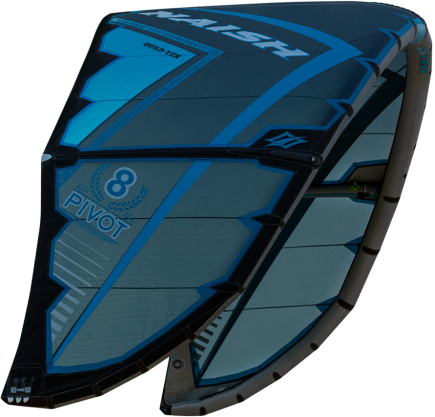 The Pivot is playful with enough pressure, but in these foiling low wind conditions the Pivot asks for more technical skills to keep the Pivot going. The short de-power stroke and lack of steering with low line tension makes it harder to hydrofoiling with the Pivot. Had a session in side-onshore wind, mid-size waves and 15-20 knots of wind. I was on a 6.0 surfboard. When we launched the Pivot I could feel the power, lots of boost and lift. On the edge the Pivot has a slide intension to capsize especially in the bottom turns the Pivot loses its pressure and was harder to steer. The drift just wasn't fast enough for these mid size waves and onshore conditions. The steering reaction of the Pivot is fast and the Pivot turns around its wingtips. Going upwind was great, the Pivot has an intention to make its wind window wider. 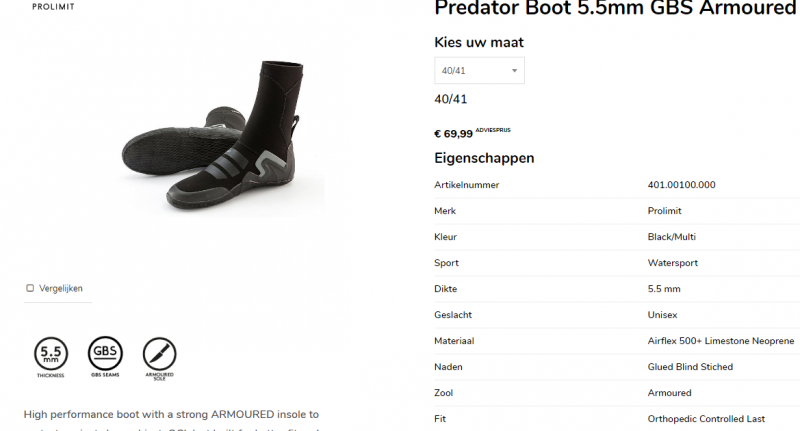 Great for pop, lift and upwind performances. Must test the Pivot on a Twintip! 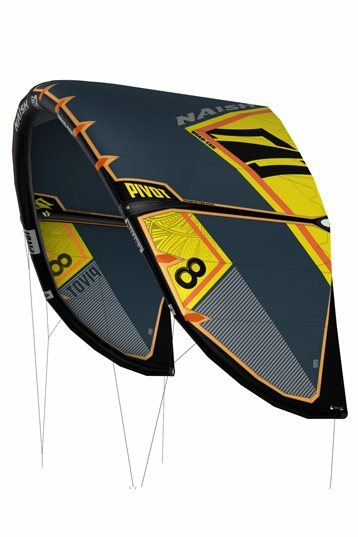 As an all-rounder kite, I believe the Pivot slides a bit more to the freestyle side than a wave kite.